What do we have here? 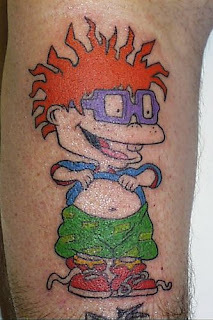 It's Chuck from Rugrats! I'm not a huge fan of Nickelodeon, some of their cartoons have this rather ugly drawing style. Rugrats is a great show anyway. And Chuck is the cutest baby of the bunch.